The decal shown in the 1st photo is made with the colors Ice Blue and Black. The colors in the 2nd photo are Pink and Black. 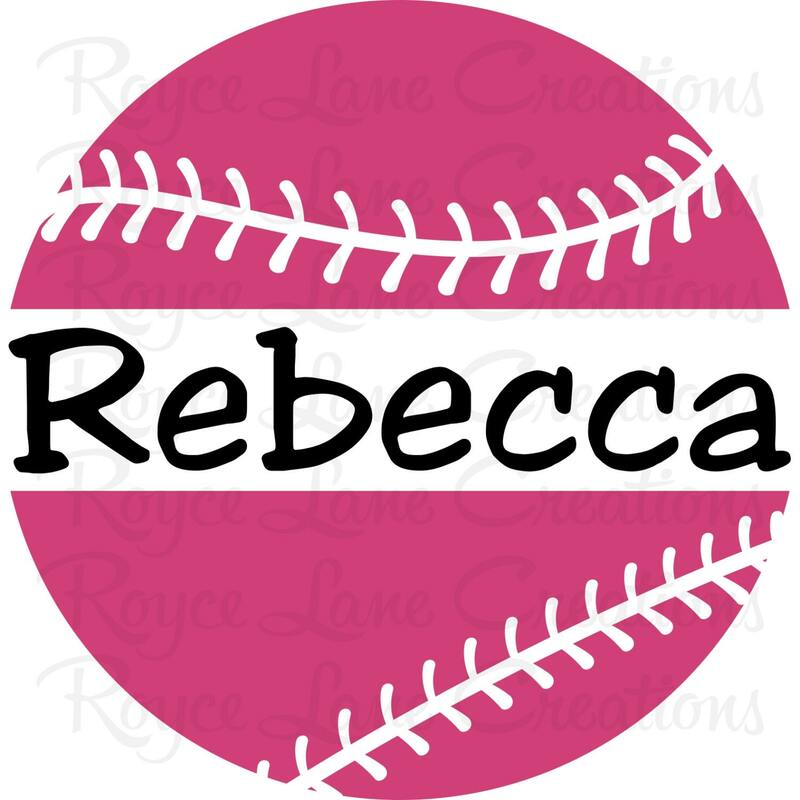 We make this decal in a larger 36x36 size. 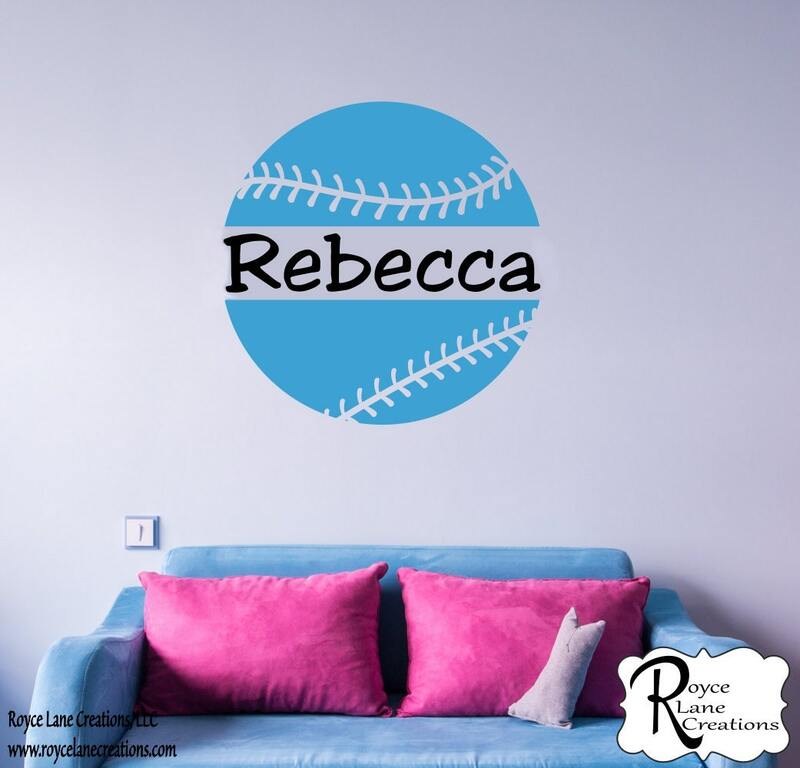 You can find it in our Sports Decals section. Vinyl and fabric decals may not adhere well to low voc or voc free paints or stain resisitant paints. Easy to put up and looks just as described. I would recommend labeling top and bottom on ball because I put mine up upside down. No one notices but I do. The name is clear which side goes up but the ball can go either way and it's a separate piece from the name. Perfect! Was easy to apply and looks great!